When it comes to the health and fitness industry, there are plenty of diet trends, health fads, and trendy new exercise regimes to choose from. It’s confusing. And more than that, these “quick tips” and “hacks” might even mess with your health if they are not applied properly — or if they’re simply not for your body type. This is what we’re determined to fix at Mindvalley by bringing on the best experts in Health & Fitness, digging into the science behind physical wellbeing, and sharing the knowledge with the world. We’re investing a ton of effort in bringing our community the best, science-based ideas in health and fitness (such as our WildFit Quest with Eric Edmeades or our last A-Fest that focused on longevity). Over the coming months, we’ll be developing more transformational programs and content in this fundamental area of life. In this article, we’ll cut through the clutter around one of the most hip trends in the health & fitness industry today: intermittent fasting. Here’s how you can apply this tool and integrate it into your lifestyle to get the best benefits out of it. In short, intermittent fasting means going without food for predetermined periods of time. But there’s a big difference between doing it a way that serves you and in a way that doesn’t. It’s a biohacking tool and a way of restricting your food intake for the purpose of weight loss and other added health benefits. And there are quite a few of them. If your goal is fat loss, you might be counting your calorie intake daily right now as a strategy to eat less than your body needs every day. A lot of people do and it’s not a bad way to manage your weight — however, studies have shown that you can achieve the same results with intermittent fasting. A study published in JAMA Internal Medicine by the American Medical Association took a look at the effects of alternate-day fasting versus calorie restriction in 100 obese adults. The participants were divided into two groups: an alternate-fasting group and a calorie restricting group. Over the course of one year, both groups lost weight, but the study wasn’t able to find much of a difference in overall weight loss between the groups. So, in terms of shedding pounds, intermittent fasting as a weight loss strategy is pretty much on par with calorie restriction. Why not just stick with restricting your calories then? Because intermittent fasting has a bunch of added health benefits that simply restricting your calories doesn’t offer. And it’s easier to maintain too. Intermittent fasting is a form of caloric restriction, and restricting your calories is a reliable method of losing weight. You have feast times and fast times. You know when you can eat, and you know when you can’t. Simple as that. You’re effectively reducing your caloric intake just by redefining your eating periods. A study done by the University of Illinois observed these benefits in obese individuals who ate food between 10a.m. and 6p.m. and did a water fast until 10a.m. the next day. After 12 weeks, the participants instinctively reduced their daily calorie intake by 300 calories without counting them.f And as a result, they lost about 3% of their body weight. Another study published in the Journal of Translational Medicine took 34 men and split them into two groups: an intermittent fasting group and a control group. Both groups had to complete an 8-week long strength-training program. The results? Both groups of men built strength and muscle mass but the intermittent fasting group had the added bonus of a decrease in body fat. So, try coupling intermittent fasting with exercise for some seriously respectable results. Scientists wanted to know whether the benefits of intermittent fasting could go beyond just losing weight, so they observed participants going through 16 hours of fasting. Their last meal was at 3p.m. every day but they gave them enough food so that no one would lose weight during the experiment. After 5 weeks, the participants had better insulin sensitivity, blood pressure, and less appetite in the evening. So even if your goal is not weight loss, you can definitely gain some long-term health benefits from this method. Another benefit of intermittent fasting is that it can help increase your HGH levels. In some cases, fasting has been proved to increase HGH levels by 500%. The benefit to boosted HGH? HGH not only helps your body burn excess fat but builds lean muscle tissue, strengthens bone density, and improves your performance during exercise. If you’re interested in intermittent fasting to help whip your body into unbelievable shape, HGH is where it’s at. A study published in JAMA Oncology collected data from 2413 women with breast cancer over the course of four years. During that time, the women were asked to estimate the amount of time they “fasted” during the night. The study found that the longer the women fasted, the lower their risk of breast cancer recurrence was. One of the possible explanations for this is that after a long period of time without eating, the body starts to “eat” its own cells as a source of energy. And those cells are the weakest and malfunctioning ones, which will then be replaced with new, healthier cells. This way the potential cancer cells can be used as an energy source so that healthier cells can be born instead of multiplying themselves as the time passes by. Hopefully, we’ll see more research about this in the coming years, but there’s a lot to be optimistic about. Our bodies are meant to scavenge and look for food. It wasn’t until the last century that we could effectively and systematically preserve our food. Throughout our history, we’ve had to hunt, stalk, and fish for our food while being hungry. Our bodies have become developed to function at their peak while in a fasted state. In fact, studies show that reaction time and accuracy increase when an individual is hungry. Mark Mattson, a neuroscientist in the Johns Hopkins School of Medicine says clearer thinking and more energy are evolutionary advantages of the fasted state. “From an evolutionary perspective, it makes sense your brain should be functioning well when you haven’t been able to obtain food for a while,” explains Mattson. This study from Harvard University published in Cell Metabolism found that intermittent fasting affects your mitochondrial network. It rebuilds pathways in your mitochondria for more fatty acid oxidization. So what does that mean in English? The mitochondria are little powerhouses inside your cell. They are the agents that transform the nutrients you get from food into energy your body can use. If mitochondrion (plural for mitochondria) gets damaged or stops working, cells start to die. So this study proves that intermittent fasting helps keep the mitochondria “young and well”, which promotes healthy aging. That means intermittent fasting might help you live longer. What’s even better is that many studies show the health benefits of specific calorie-restricted diets and their direct benefits on the human body. These diets are called “Blue Zone Diets” for the area of the world where these types of diets are mainly consumed. It is not uncommon for individuals in these “Blue Zones” to surpass the age of 90. Intermittent fasting is an effective weight loss tool that comes with plenty of other health benefits that we now know — but it’s also not for everyone. A review conducted by the Harvard T.H. Chan School of Public Health found that certain health conditions pose a higher risk for intermittent fasting than others. Also, intermittent fasting affects men and women differently. Ladies and gents can both engage in intermittent fasting but it might affect them differently. Some studies indicate that intermittent fasting not only isn’t as effective for women as it is for men—but may actually have some adverse health effects. A study published in the US National Library of Medicine took eight men and eight women and tested their glucose and insulin after twenty-two days of intermittent fasting. The aim of the study was to find out: can this method maintain one’s glucose response while reducing their insulin level in the long run? In other words, does short-term pain bring long-term gain? The men who participated in the study had no change in their glucose response and even experienced a noticeable reduction in their insulin response, which is great. But what about the women? Female participants in the study had worse glucose response than before and had absolutely no change in their insulin level. It’s a slight change, but it shows that our bodies are wired differently. Intermittent fasting isn’t bringing the same results for women as it does for men. Yes, there are women too who say they feel great and are able to lose fat while fasting for an extended period of time. Ultimately, the best way to figure out if this is the right thing for you, whether you’re a woman or a man, is by giving it a try. On a side note, women who want to try intermittent fasting need to be mindful of their cycles. Even though there hasn’t been any specific study done on this subject, studies of intermittent fasting in rats demonstrated a disruption in the females’ menstrual cycles, and in some cases, caused them to miss their period entirely. Well, it’s a no-brainer that the right time for fasting is not when your energy level is already low because of your cycle, being ill, or any other reason. On days when your body is recovering from other health conditions, you got to give it everything it needs. But in any other case, here’s how this biohacking tool really works on the human body and how it can accelerate your weight loss goals. Your body operates in two different states: the feasting state and the fasting state. The feasting state is what your body enters directly after you eat food — including snacks and even your WildFit smoothie. It takes the body about 8 hours to completely process the food you’ve eaten, which includes processing nutrients and extracting energy from it. Once this is done, your body enters the fasted state, which starts 8-12 hours after your last meal. Believe it or not, most of us rarely ever enter a fasted state because we tend to eat breakfast as soon as we get up. The difference is that in a feasting state, your body burns most of its calories from the food you’ve eaten. But in a fasted state, the body doesn’t have energy from food to draw on, so it begins to pull its energy from your fat stores. For our hunter-gatherer ancestors, that’s what fat stores were for. They were for times when food was scarce and the body needed a backup energy source. Thousands of years ago, we were all well accustomed to living in a fasted state. It was actually a pretty normal turn of events for us. But these days, our bodies rarely see the fasted state. And really, who are we kidding? Most of us can barely go three hours without a snack. In a fasted state, our bodies pull fuel from our fat stores. The result? Fat loss. Along with some other pretty impressive health benefits. If you’re convinced that you want to give the thing a whirl, there are two main methods to go by: the 16/8 method, and the 5:2 method. The 16/8 method is just what it sounds like: eating for eight hours and fasting for the other sixteen. For example, your eight hour eating period might be from 12 p.m.–8 p.m. What most people do is eat three large, healthy meals at 12 p.m., 4 p.m., and before 8 p.m. This is your feasting time. During the rest of the day, you only take water, coffee, or tea — without, of course, any added milk, cream, or sugar. The point is to stay on zero calories for the next 16 hours. This is the easiest timeframe for most people, especially the ones who are not a fan of big brekkies. Now, you may adjust those 8 hours to your daily schedule but certain time windows yield better results, so take note of this. 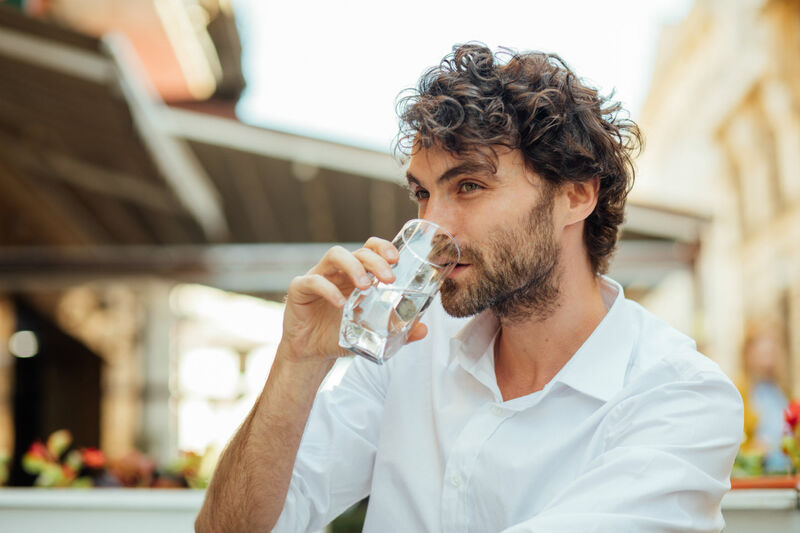 A study published in Cell Metabolism had a group of men engage in a form of intermittent fasting which they called early time-restricted feeding (eTRF). What this meant is that these men were asked to eat early in the day and fast from 3 p.m. until morning. What they found out from this study is that the earlier you start and stop your feeding period, the more likely you are to increase your insulin sensitivity, lower your blood pressure, curb cravings, facilitate weight loss, and even improve overall cellular function. So while abstaining from food in the first half of your busy day might come easier for you, stepping into your fasting period after 3 p.m. seems to pay off in many ways. That, of course, is if you are an early bird and you have time to stack up on nutrients before midday. That said, while skipping dinner seems to be better for this protocol, it does not mean that skipping breakfast won’t give you any benefits. Just make sure not to have your last meal too close to bedtime. Aim to finish your meal 2-3 hours before sleeping. The 5:2 method involves fasting for 24 hours twice a week. So, five days of the week you eat as you normally would. Two days of the week, you fast for a full 24 hours. One of the popular ways of implementing the 5:2 method is by eating your last meal at 5 p.m. and not eating again until 5 p.m. the next day. If you’re planning to execute the 5:2 method for any length of time, an option is to eat one small meal during your fasting periods. Why? Because a study published in the American Journal of Clinical Nutrition found that when 16 men and women fasted every other day for 22 days, their bodies reaped many of the health benefits of intermittent fasting, but their hunger pains didn’t subside. The bottom line here is that the 5:2 method is tough. And if you plan to practice the 5:2 method for a longer period of time, throwing in a small meal on fasting days will likely help curb your hunger. But small means small, otherwise it’s not going to be worth it. So you may wonder, which intermittent fasting method is more effective? Statistically speaking, you’re going to get the biggest bang for your buck using the 5:2 method. A 3–12 week study of alternate-day fasting demonstrated body weight reductions of up to 7%, body fat reductions of up to 5.5 kg, and cholesterol reductions of up to 21%. Now, that doesn’t mean that the 16/8 method isn’t effective. It is. It’s just that most of the scientific evidence we have so far supports the efficacy of the 5:2 method. That said, the 5:2 method is definitely the more challenging of the two. If you do want to give intermittent fasting a try, the 16/8 method is the safest approach and it’s way easier to maintain. There is an adaptation phase when implementing intermittent fasting. This is totally normal. You may feel sluggish, hungry and dopey at first, but these symptoms pass quite quickly. The length of time for these symptoms to pass depends on the individual, but most people start to feel better after a few days. The body was designed to adapt. So, come on, you’ve got this! Although the 5:2 protocol does show more clinical improvements over the 16/8 protocol, the latter is much easier to follow. If you’re nervous about going 16 hours straight without eating, scale back your fasting time to 12 hours. Once you’re comfortable with that, step it up to 14 hours. Soon enough, you’ll be able to follow the 16/8 protocol like a champ. After you’ve mastered the 16/8 routine and feel ready for a challenge, see if you can tackle the 5:2. It is important to remember not to consume any calories during your fasted period. The only thing that is allowed is water, black coffee, or tea. Consuming any extra calories will force your body to leave its fasted state and you’ll totally sabotage your efforts. Leaving a fasted state will stop any benefit intermittent fasting can produce, so hold on to your initial purpose and don’t cheat! Do your best not to overeat when you are in your feeding window. You will be hungry when you finally have a chance to eat but you don’t want to over consume calories. Why? Because if you overeat, you will actually increase the likelihood of putting on weight even after fasting the whole day. In fact, many health professionals believe that the benefits of intermittent fasting actually come from the restricted caloric intake, not the actual fasting. And when you do get the opportunity to eat, make sure you take time to chew your food. Digestion starts in the mouth, and eating too quickly can actually cause digestive distress. By mindfully chewing your food, you’re preparing your digestive system to get the most out of what you eat. When you hit your eating window, it is imperative that you eat nutrient-dense foods. Since your body has been deprived of food all day, you need to consume a healthy balance of all macro and micro nutrients to maintain proper body function and health. Gorging on junk food will leave you feeling worse than ever. Use a cheat day once a week to reward yourself for your hard work, but keep it within reason. You don’t want to sabotage all those fasting benefits. More important than anything else, it is important to drink a lot of water. Your body will be processing and releasing all sorts of toxins and minerals stored in fat, which means your kidneys and liver will need the extra fluids to help cleanse the body. Not only does water help flush the bad stuff from your system but it also helps keep hunger pangs at bay. Aim for 3L of water consumption a day. We hope that these studies and advice will help you implement this powerful biohacking tool into your lifestyle and reap all the benefits.